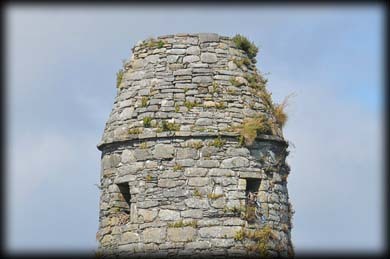 The Round tower on Scattery is obviously the most dominant building on the island. 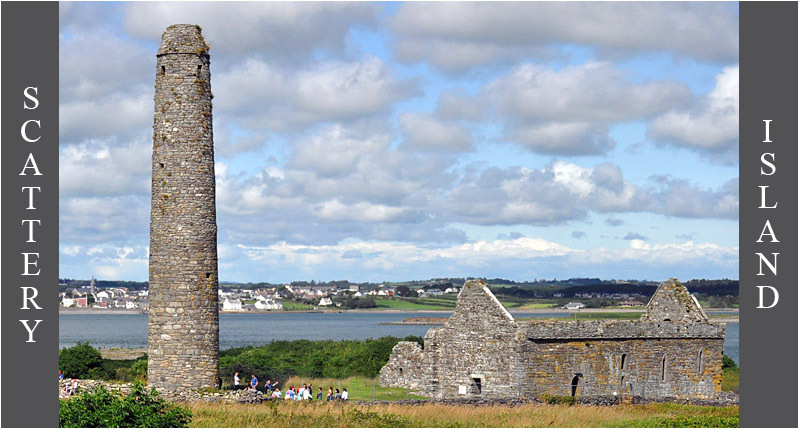 Some of the towers features suggest it could be the oldest of all the round towers in Ireland. The most notable of these features is the doorway, which is at ground level. 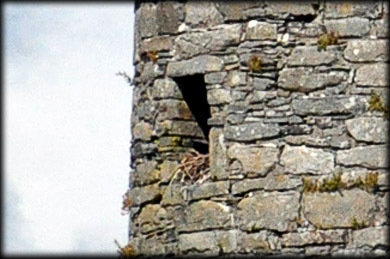 The only other tower with a doorway at ground level is the one at Castledermot. At first glance the 1.43 metre high doorway appears to be arched but on closer inspection you can see a corbelling technique was used with a capstone creating the ached appearance. Above this is a long stone acting as lintel. See image below. The doorway is 0.685 metres wide at the bottom with inclined jambs. 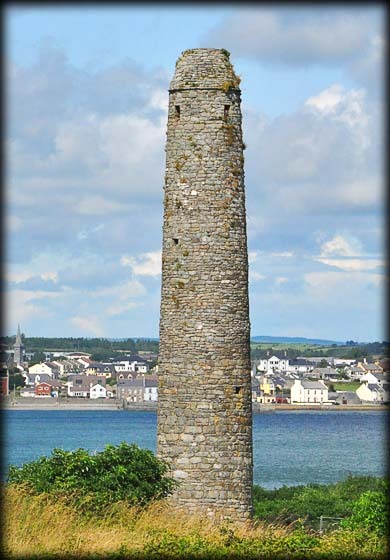 The tower with Kilrush in the background. Discovery Map 63: Q 9725 5252. Last visit July 2014. Door: Ground level. Type: Corbelled with a lintel above. Features: Door at ground level.